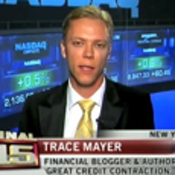 Trace Mayer is an entrepreneur, investor, journalist, monetary scientist and ardent defender of the freedom of speech. Trace Mayer holds degrees in Accounting and law. He has studied Austrian economics focusing on Murray Rothbard and Ludwig von Mises. He was among the first popular bloggers to publicly recommend blockchain technology, Bitcoin, in its infancy with a market cap under $2m and well before its massive rise over $11B in November 2013 and hosts the extremely popular Bitcoin Knowledge podcast. Blockchain technology holds the most disruptive potential for actually being able to execute such massive creative destruction as capital burrows down the liquidity pyramid into safer and more liquid assets like gold and Bitcoin. Is Goldman Sachs Thinking of Buying Silver? Rare Earth Metals: Why All the Fuss?